Posted March 16, 2016 by Christopher Harris & filed under City News. The mathematics of the proposed Powerhouse deal defy logic. The Baird government projects that it will make $200 million dollars selling the existing site, located on prime real estate at the southern end of the Darling Harbour entertainment precinct, which is currently being redeveloped. No one seriously believes that a modern day museum can be built anywhere in greater Sydney for $200 million. World class museums don’t come cheap. In May 2015, the Whitney Museum of American Art opened in New York City for $565 million. Later this year the Smithsonian Museum will open a new Museum of African American History and Culture in Washington DC for $635 million. And in Edmonton Alberta, in a move Macquarie Street might ponder, the government is actually relocating the Royal Alberta Museum from the outer suburbs to the city’s downtown arts district. When it reopens next year in 2017, the new museum will have cost $376 million to construct. The projected $200 million that would be raised through the sale of prime city real estate to developers would not cover the cost of a new museum. The revenue shortfall will inevitably be picked up by NSW taxpayers, if indeed a new museum is ever actually built. Meanwhile, in order to recoup a $200 million property investment in Ultimo, developers will expect to build 600 units on the site of the existing Powerhouse, generating a hefty wind fall in the process. Just a short stroll away from the Powerhouse, the building industry recently made a bundle on a similar project. In May 2015, Lend Lease sold 581 apartments at the nearby Darling Harbour redevelopment in less than five hours for more than $600 million. Even after construction costs, the developers would make a killing. The Baird government is paying KPMG $10 million to study the economic impact of the move and make a business case for relocating the existing collection from Ultimo to Parramatta. When you consider that KPMG only charged NSW taxpayers $400,000 to produce a top secret report into the cost savings of amalgamating local council’s across the whole of NSW, the mind boggles imagining what sort of a top secret document $10 million will buy. It is unlikely KPMG will evaluate the economic impact relocating the Powerhouse will have on Ultimo. Each year nearly a half million people visit the Powerhouse with 15.7% coming from overseas, 12.3% coming from interstate, 10.6% coming from rural NSW and the remainder coming from all over Greater Sydney, providing substantial economic gains for the local Ultimo community. The Powerhouse has benefited from its current position next to one of Australia’s single largest tourist destinations: Darling Harbour, which brings in 26 million visitors per year. The recent opening of the Goods Line has provided a much needed link between Ultimo and Darling Harbour, helping bring even more visitors to the Powerhouse. This year the Powerhouse saw a 12 per cent leap in visitors; an extra 45,595 people visited the museum. In 2005 the National Science and Technology Centre in Canberra published a report called “Assessing the Economic Impact of Science Centres on Their Local Communities.” The report found that institutions like the Powerhouse generate substantial economic benefits to their surrounding communities. In California’s Silicon Valley, a similar institution, the Tech Museum of Innovation attracts visitor numbers on par with the Powerhouse and generates $59 million for surrounding San Jose and Santa Clara County. In Indianapolis Indiana, the Children’s Museum generates $24 million for the local economy. And closer to home in Canberra, the National Science and Technology Centre brings in 350,000 visitors and generates $13 million for its local economy when adjusted to 2015 figures. 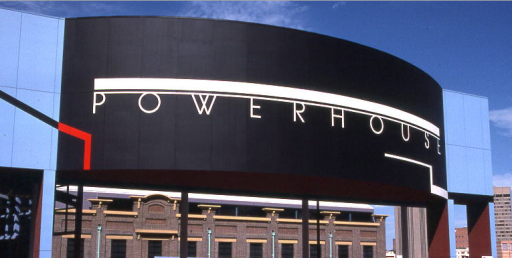 Whether or not the Powerhouse will attract visitors to Parramatta is open to debate. Regardless of what fantastical analysis KPMG constructs for $10 million, international tourists and locals in any global city are far more likely to spend their time in and around a city centre, where attractions are closely connected to historic landmarks and a broad range of cultural institutions are within close proximity to one another. Very few visitors to New York City visit White Plains. Few Parisian tourists make the trek to La Defese. Here in Sydney visitors are much more likely to visit Darling Harbour then to travel some 20km to Parramatta. Meanwhile, in very real terms, the loss of several hundred museum jobs and a half million annual visitors will have a substantial impact on local businesses in and around Ultimo. The Baird government’s proposal to sell off the existing Powerhouse site to developers is nothing more than old fashioned pork barrelling, shifting a prime cultural asset from the staunchly progressive seats of Sydney and Balmain (the museum currently straddles both Alex Greenwich and Jamie Parker’s electorates) to the marginal, swing seat of Parramatta, while benefiting property developers in the transaction and costing ratepayers hundreds of millions in relocation costs. The government proposes to pay for its pork barrelling project by selling off prime, publicly owned land to developers so that even more apartments can be crammed into Pyrmont and Ultimo, which is already Australia’s most densely populated precinct. Sydneysiders should oppose the plans, lock, stock and stinking barrel.